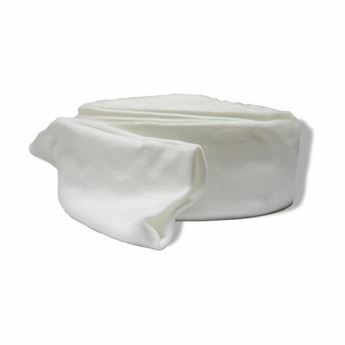 Tubular Padded Protection Bandage designed to provide a protective layer in direct contact with the skin. 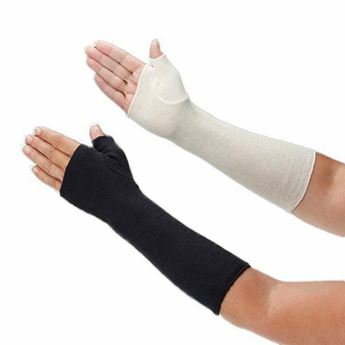 Used for: protection of the skin prior to the application of fiberglass and plaster of paris casts; protection of the skin prior to the application of all types of compression bandaging; protection of frail aged skin against minor skin tears and other superficial injuries. 100% cotton. 5m roll. Width specified for unstretched. It is important when measuring Tubular-Plus™ prior to application that an amount of 2.5cm is allowed at either end of the bandage. 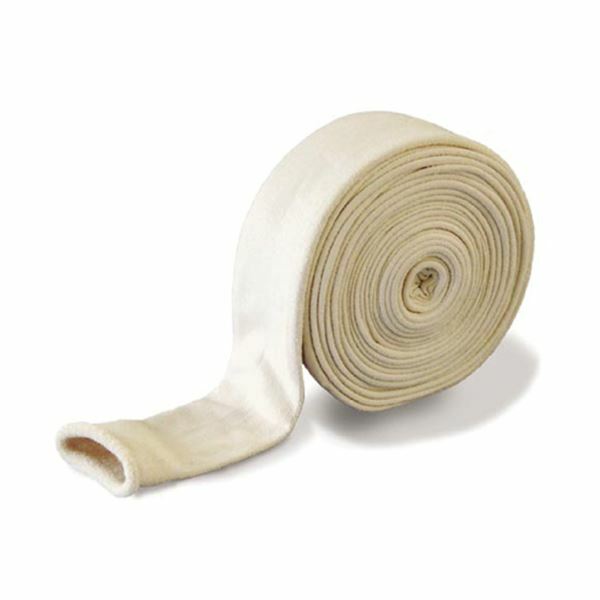 The 2.5cm of additional bandage will gently roll after being cut to prevent airborne particles from entering a wound. 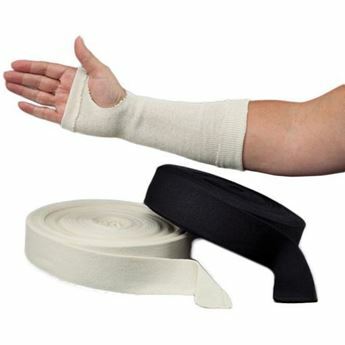 After using Tubular-Plus™ for an extended period, the bandage will be subtly shaped to the limb it has been applied to. 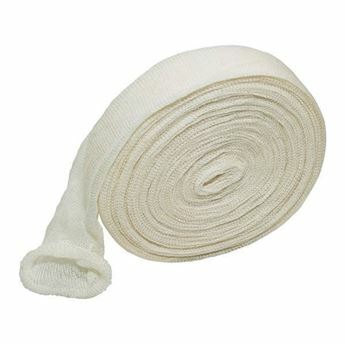 Gently pull the bandage lengthwise to remove the memory and the bandage will reshape to its original specifications.